For the past couple of days when Shae or I walked in the back door we noticed an unpleasant odor. We checked the half bath adjacent to the door, the entranceway closet, and underneath the kitchen sink. Taking the garbage and compost out did not seem to solve the problem and everyday the odor would come and go. Yesterday, I finally figured out the source when I went to unload the dishwasher. 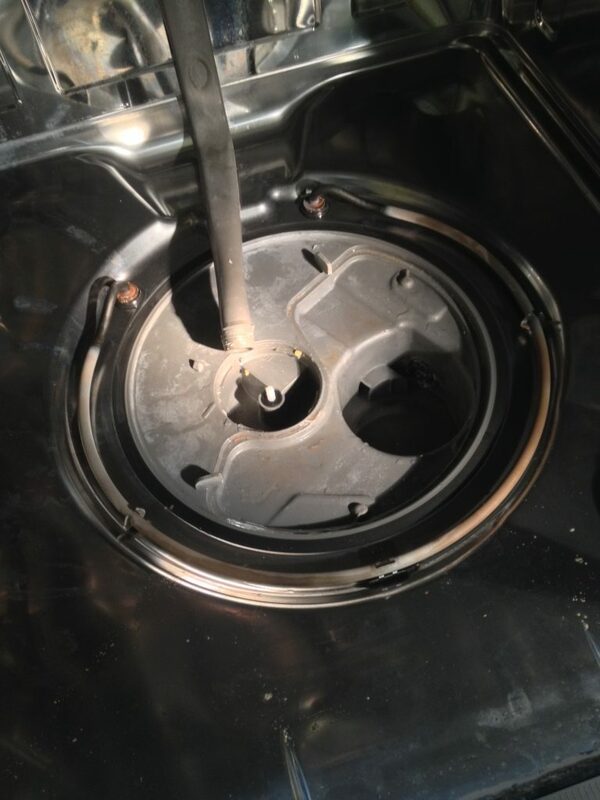 I smelled that all too familiar smell of something died and saw a little glimmer of water at the base of the washer. Uh oh. Removing the kick panel revealed a grisly scene of stagnant sludge water pooling under the dishwasher. My first thought was, “Yay, I found the problem.”, quickly followed by, “oh damn”. Pulling the dishwasher out from underneath the cabinet isn’t too difficult of a task. Flip the breaker(s) at the electrical panel to kill power to the unit, find and turn off the water supply valve, and undo any screws attaching it to the cabinetry. After mopping up the mess and hosing it down with a liberal amount of bleach, I set to work trying to figure out the source of the leak. My first inclination was the drain hose. The pooled water was not clean, and a leak from the supply line would have flooded the whole room, so I ruled that option out. That left the drain hose or the dishwasher itself. Fast forward an hour and a half and I had a new drain hose installed and with Shae’s help we did a test run with the dishwasher pulled out from underneath the cabinetry. This way, we could easily see if anything was leaking. Right away, water started gushing out from a port at the bottom of the unit. Well, so much for my hypothesis that it was the drain line. I looked up the part number online and found out it was the diverter motor. #12 in the diagram below. Removing the motor was a simple task, it just had two electrical connectors and two screws holding it in place. Upon closer inspection, I could not deduce any water sealing feature on the #12 part. The fault must lie further upstream. I opened the door to the dishwasher and started removing parts. The first to go were the filter screens, #2 and #6. Next was the sprayer arm, #7. A quarter turn was all it took to unlatch it. Then part #1 was liberated with another quarter turn. Below that is the diverter disk, part #4. It attaches onto the post of the diverter motor, #12, where we saw the water coming out of. Yay, progress! 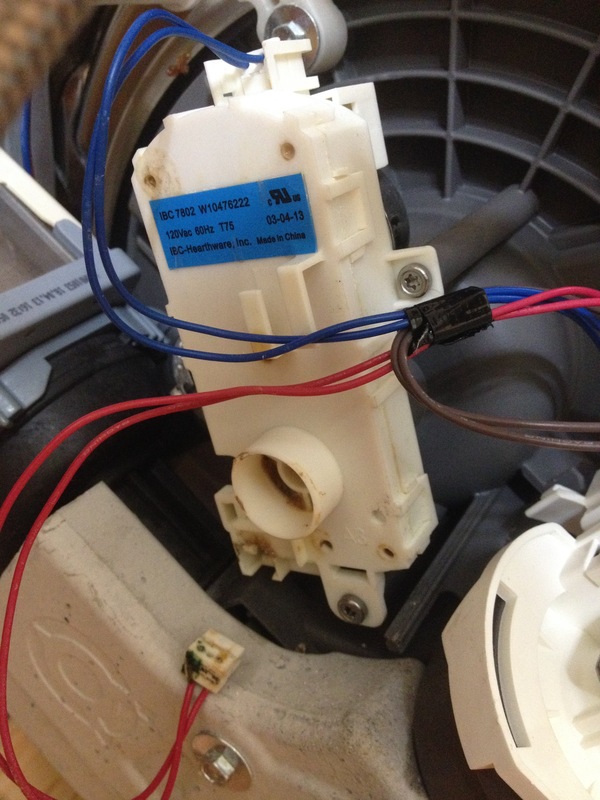 In the above picture, you can see the white diverter motor post sticking up through the bottom of the dishwasher. Water was getting through that black gasket/grommet/seal. With a little digging around the internet, I found the replacement Sump Assembly part, #3 for $56. I don’t need the whole assembly, I just need the grommet. Thankfully, I found it as part #WPW10195677 (alternative part AP6016787). $6 plus shipping. [Update 4/4/2018] The previously linked part is no longer in stock. Here are some alternatives. from SearsDirect.com, or avxseals.com (hat tip to David Olson for finding a suitable replacement part). With any luck, the replacement grommet will fix the problem, at least for the next 3 years. The total cost so far is $10 for a new drain hose, $14 for a new grommet. $24 plus some sweat equity sure beats paying a technician to come in and bill $200-$400. It also beats paying $150 for an extended warranty. 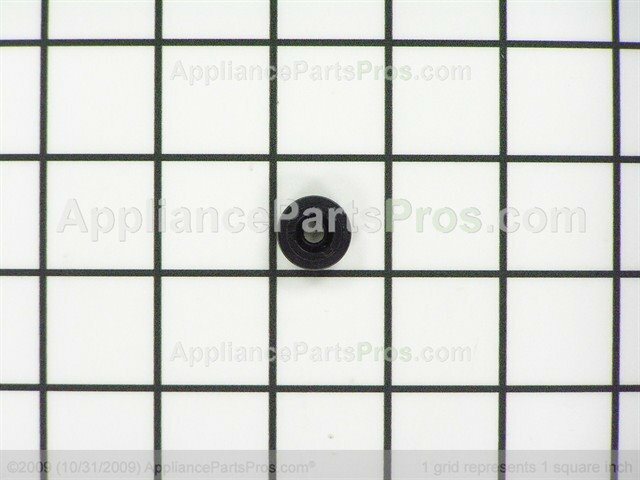 The grommet seems to be compatible with Whirlpool, Kenmore, and KitchenAide dishwashers. I suspect all three brands suffer from this same problem. Our next dishwasher will not be one of these three brands. 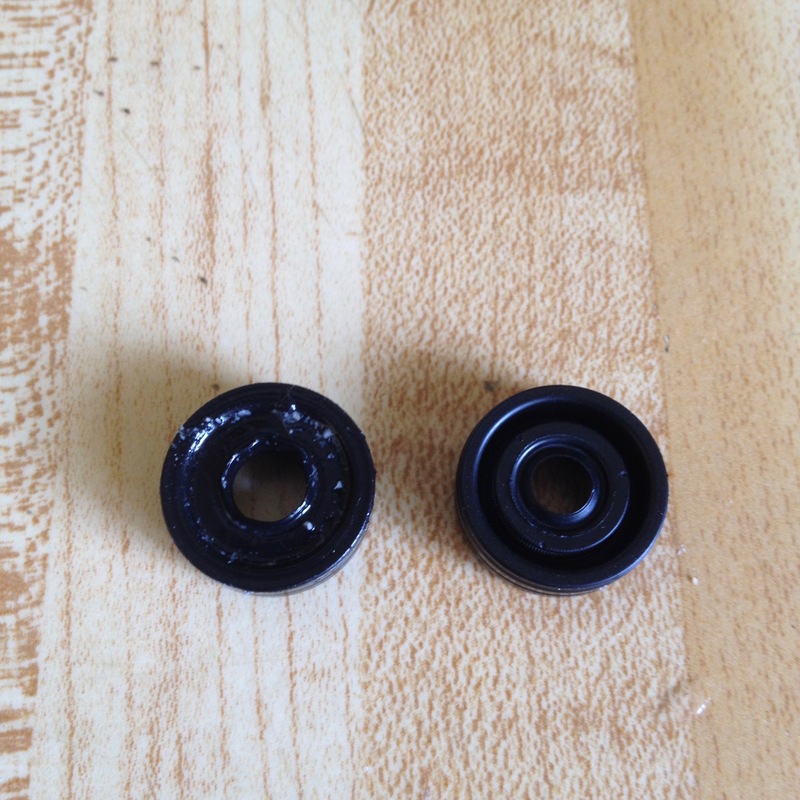 The part arrived today and I was able to pop the old grommet out very easily. The new grommet slid into place just as easily. This would be a much easier repair if you did not have to remove the diverter motor underneath the machine. Perhaps a more skilled person could, but since I already had the machine pulled out it wasn’t too much extra work. A quick test of the system revealed no leaks! Huzzah! As a final step and with the benefit of hindsight, I added a 1/2″ thick sheet of rigid board insulation in the cavity. On sub zero nights, the drain line would freeze. Hopefully, this will save us some future headache. Here is a Youtube video that shows the entire procedure. I don’t know if you’re religious, but when I found that my dishwasher was leaking last night, I had no idea what to do. I knelt down in earnest prayer, slept on it, prayed again in the morning, and found the source of the leak – the diverter motor. I prayed again, and started looking for information on the internet, looking for what was supposed to catch the water that comes out of the diverter motor perhaps. I did an image search, hoping to find a picture of something that connected to the bottom of that motor. There isn’t any such thing of course. But I found the image you posted of the bottom of the motor, and recognized it as very similar to mine. On a whim, I clicked it and found your perfect instructions for exactly how to fix my problem. You even posted the part number and an alternate replacement part! You are literally, in the very truest sense of the word, a God-send! I found the part at the parts store less than a mile from my house. And I was done in under two hours total. I know you went through great effort to troubleshoot your own fix, but since you posted it online, your effort rewarded me as well, and probably many others. And I needed this help so desperately. I have four kids, and a broken refrigerator too, and some water damage to deal with. This blessing is a testament to the answer I was given to my prayer that it really will all be OK somehow. I don’t know how to thank you enough. What address can I send your cookies to? I am glad that my post was helpful. Now that you have that experience in your tool belt you’ll be even better able to tackle the refrigerator. There is no need to send us cookies. Please pay it forward. Wanted to say thank you for your post. It saved me from wasting a lot of time and money! The pictures and diagrams were perfect. Thanks again! I’m glad it was helpful Mark! Have a great day. I am so thankful that I found your post. This is exactly what is wrong with my dishwasher. I was starting to think I was going to have to call and pay for a repair because after hours of google time and time laying in front of the machine I was still stumped. Now I am off to order the part. I do have one question if you don’t mind. In your post you say it would have been easier if you didn’t have to remove the diverter motor under the machine. Did you have to do that as part of the diagnosis process or as part of the repair? In other words will I need to pull out the dishwasher and remove that part or can the repair be made from inside the machine? Thank you so much for making this post!!! I would try replacing the grommet from inside first without pulling the dishwasher out and removing anything from the bottom side. It may be difficult to get the rubber grommet off the diverter post. Perhaps a set of tweezers would work. If it is too difficult to get the grommet off the post then you’ll need to remove the diverter motor underneath the machine. Like I said, try the easy approach first. I hope this helps someone in the future. The diverter valve shaft seal, WPW10195677, is no longer available from the manufacturer. They want you to buy the whole diverter motor when all that is leaking is the seal. After a LOT of searching, I found a replacement that works perfectly. Go to http://www.avxseals.com and order a # TC5.5x16x8. Hope this helps. 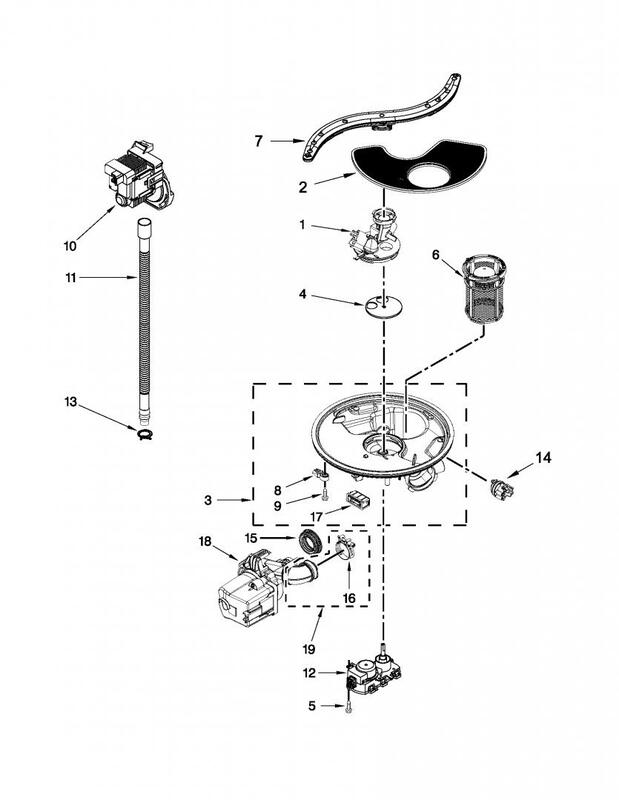 Hi David – Thank you for sharing your research on a replacement part for the diverter valve shaft seal. I ordered and installed the #TC5.5x16x8 seal from AVX Seals and the leak is fixed! Much appreciated! I was ready to give up on finding this seal and I ordered the part from AVX and installed it in seconds….. and NO LEAK!!!! Thanks, you just saved me a bunch of money. AVX seal TC5.5x16x8 was 3 dollars and change, and it shipped USPS first class for less than 3 more. Got the part in two days, even shipping it clear across the country. Fixed the leak! Also, you do not need to remove the diverter or even take the diswasher out of the cabinet. Seal can be replaced from inside. There is a youtube video showing how. It’s terrible how Whirlpool does not carry the part anymore… even at $14 they would be making a ton of profit, but it’s not enough. They want you to spend a boatload of money and replace parts that are not broken! This post and the AVX seal part number have been very handy. Thank you very much. I was unable to get the 5.5 mm seal from my local supplier in Canada, so I went with a 5.0 x 16 x 7 in Viton and it works fine. Same problem. Someone else removed the grommet for me so I don’t know if the flat side should go up or down. Help! The other side of the grommet is cupped (lip seal) and a metal wire is visible inside of it. My memory is a little fuzzy but I believe it is cup side up like it is shown in the picture where the old and new are side by side. If that doesn’t work, just switch it around! [Edit] I don’t remember there being any metal in my grommet replacement, I thought it was just all rubber. If you can see metal, I’d put that side facing down and away from where it would make contact with water. I’d like to thank you for posting this information on your dishwasher repair. 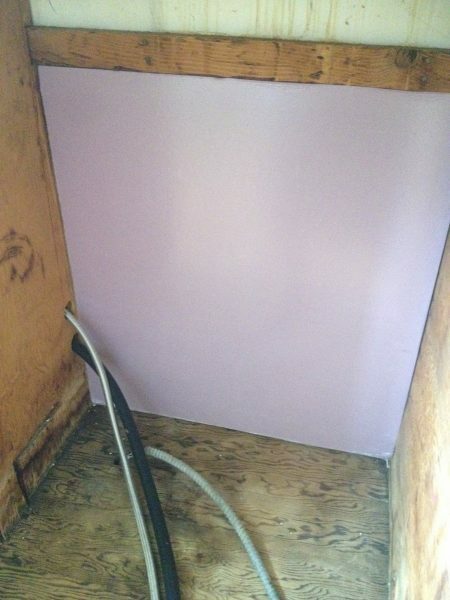 I had determined where the leak was coming from, was Googling and came across your blog post about a week ago. I have a Kenmore, with the same mechanisms featured in the photos, and the same leak you described. Your information helped confirm my problem with absolute certainty. The second bit of gratitude goes to David Olson (Dec 2017 posting) who took the trouble to retrofit an oil seal for a part that Whirlpool decided to discontinue. I ordered the part “TC5.5x16x8” from AVX Seals in Cali. At first I thought it was the wrong size when it arrived as the seal was a little taller (wider), but I quickly realized that was irrelevant as the mechanism is elevated, and the flat portion is properly submerged in the plastic housing. I had to ship the seal to Canada, so it was expensive crossing borders and currency exchange, but still cheaper than buying a complete switch mechanism just for the seal. I could find no one supplying the Whirlpool seal part “as is” in Canada, and wasn’t going to waste days to save shipping costs, and time sourcing alternatives. The part is here, installed, and the Kenmore is cleaning dishes without leaks. Thanks guys – You were both very helpful. Big thanks to Andrew and David Olson for helping me get on the path to fixing my dishwasher leak. Like Ron, I also live in Canada and have had much difficulty tracking down a replacement seal. Fortunately just seconds before hitting purchase on the AVX Seals website, I discovered a Canadian business called Bearings Canada which sells the same part. Shipping was still absurdly expensive considering the size and weight of the part, but I did save on exchange rate and border fees which amounted to a cheaper total. Mike: I’m also trying to get the seal need to repair my dishwasher. Do you have a part number for the part you got from Bearings Canada? Ive ordered a oil seal from LORDCO they dont do half sizes so Im tring the 5.0x16x8 mm seal. will let you know how it goes. its $4.00 and no shipping if you have a Lordco near by and of course you do if your blood is full of maple syrup. Thank guys for this post. Incredible how internet can be useful . I have exactly the same problem here and cannot find that damn discontinnued grommet. I just ordered the part from AVX today , hope i can get it soon ( im from Montreal , Canada). I’ll let you know if everything ok after replacement, but the way i see it with all your post, it should fix the problem. Hey! 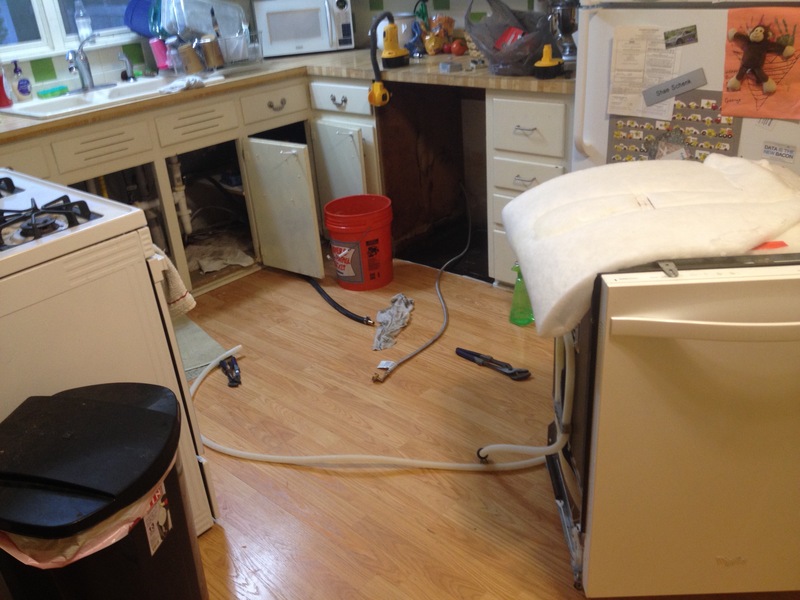 I found this gem of a write up on the interwebs the same day my dishwasher started leaking. (about 5 hrs ago.) Replacement part ordered from AVX. Thank you for putting this out there for others to learn the easy way. Thank you so much–perfect information! Just ordered the BearingsCanada.com part TC5.5x16x8. Amazing how people band together to help each other out. Thank you, thank you, thank you!!!! Pulled out my dishwasher on Saturday, hoping the source of my leak was something straight forward. Started doing research today and stumbled upon this information! Looking forward to getting it fixed and back up and running. Thanks again for taking your time to post this!